Aden Jones was born on September 7, 1920, in Flint, Michigan. He enlisted in the U.S. Army Air Corps on September 19, 1939, and was trained as a bombardier. 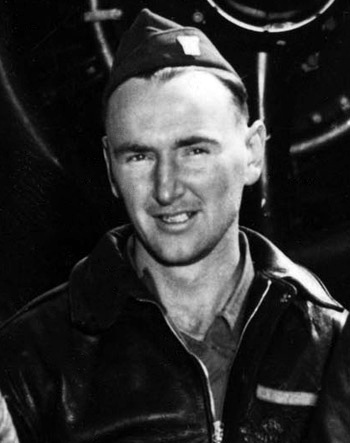 Jones was assigned to the 95th Bomb Squadron at March Field, California, and McChord Field, Washington, from 1940 until he was selected to participated in the Doolittle Mission in February 1942. Sgt Jones was the Bombardier on the third B-25 to take off from the aircraft carrier USS Hornet on April 18, 1942, and after bombing its assigned targets in Tokyo, the crew bailed out over China when their aircraft ran out of fuel. 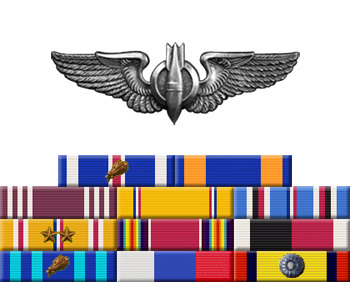 He remained in China flying combat missions until July 1943, and then served at bases in South Carolina, Louisiana, and California during stateside service. During this time Jones received a commission as a 2nd Lt. He served for a short time with the occupation forces in Japan after the war, and was honorably discharged from the Air Force on December 17, 1948. Aden Jones died on March 9, 1983, and was buried at the Forest Lawn Memorial Park in Covina, California. For extraordinary achievement while participating in a highly destructive raid on the Japanese mainland on April 18, 1942. Sergeant Jones volunteered for this mission knowing full well that the chances of survival were extremely remote, and executed his part in it with great skill and daring. This achievement reflects high credit on Sergeant Jones and the military service. 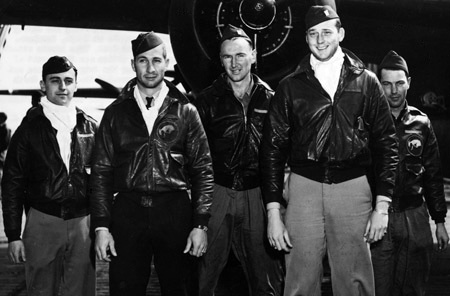 Crew 3 of the Doolittle Raiders, left to right-Lt Charles J. Ozuk, Lt Robert M. Gray, Sgt Aden E. Jones, Lt Jacob E. Manch, Cpl Leland D. Faktor.